Technology has gifted an amazing application that allows people all over the world to send messages without paying per message. With the arrival of ‘WhatsApp’ paying per message system has come to an end. Using the same mobile data plan which is used for email and surfing, the world now uses WhatsApp to send text, image, video and audio messages. With more than one billion users, WhatsApp has become world’s most popular messaging service. It now offers its users to access most of its features on Windows and Mac computers. This seen to be a challenge for the other messaging apps like Facebook messenger, Hangouts and biggest impact on Skype which have more than 300 million users. Whatsapp is now available on all smartphone operating system via web browsers and now on most of all operating system. Users find using WhatsApp on desktop more convenient to message. The software allows them to send images, video and audio calls. The call feature of WhatsApp is not yet implemented on desktop WhatsApp software. However, developers are now working to build video call features that could bring significant impact on Skype business. 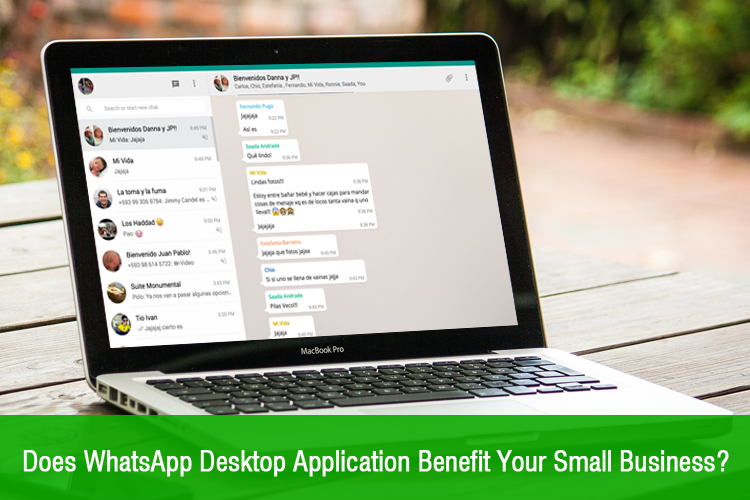 The desktop WhatsApp facilitates users to utilize native notifications and use easier keyboard for messaging. Users should scan a QR code within WhatsApp on their smartphone to sync the messages and to start its function. One-to-one chat: You can simply message back and forth with one person in private. Group chat: Group chat enables you to invite two or more people (up to hundred) to chat. Broadcast: You can send message to others, but they cannot reply back. WhatsApp Calling: You can call to a person and talk. With these feature WhatsApp became a powerful tool to stay in contact with people without spending too much money on SMS. Whatsapp developers have successfully implemented robust features without sacrificing the ease-of-use. Give a try to WhatsApp in your small business toolbox. Contact us! We can help you.